Sunset on Winchelsea Beach, East Sussex. 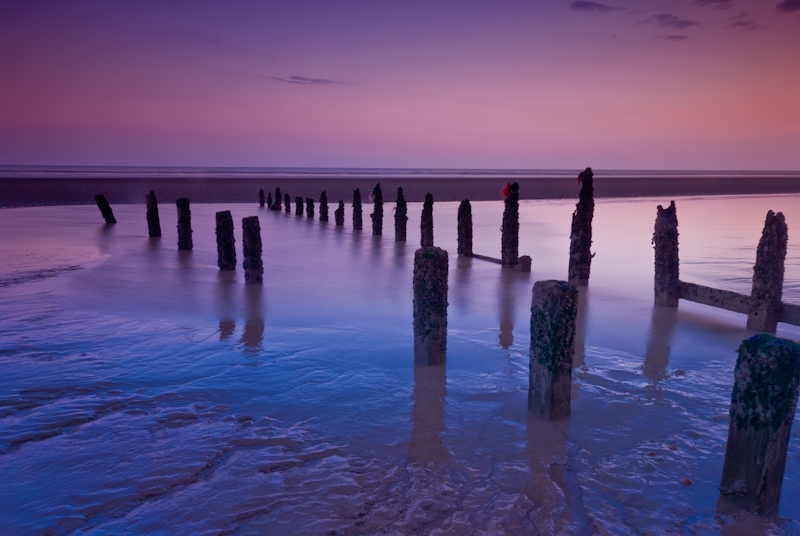 A series of old pier pilings stretch out into the water from the seawall at Winchelsea. A long exposure meant that the action of the waves created a soft, ethereal glow on the beach sand.